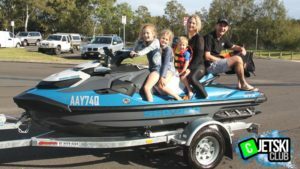 Another new Jet Ski joins the Australian Jet Ski Association Water Safety Team! Another new Jet Ski joins the Australian Jet Ski Association Water Safety Team. Thanks to Sunstate Seadoo at the Sunshine Coast for the best deal and just being awesome to deal with! Check out the awesome Fish Ski box on display at the demo day too! Who else is getting a new Jet Ski soon?